The newest generation BMW F30 3-Series BMWs with non-Xenon factory headlights use a PW24W daytime running light bulb inside the headlight. These lights share the lower half of the high beam housing and are only on during the day when the vehicle is on and driving. 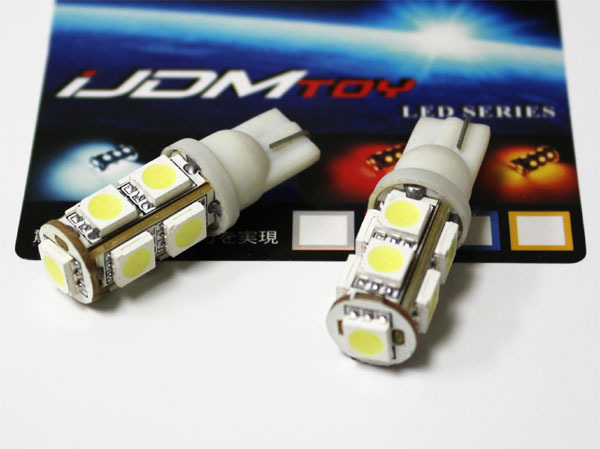 The factory lights use a regular incandescent filament bulb which produces a dull yellow color which takes away from the luxury look that the BMW has. 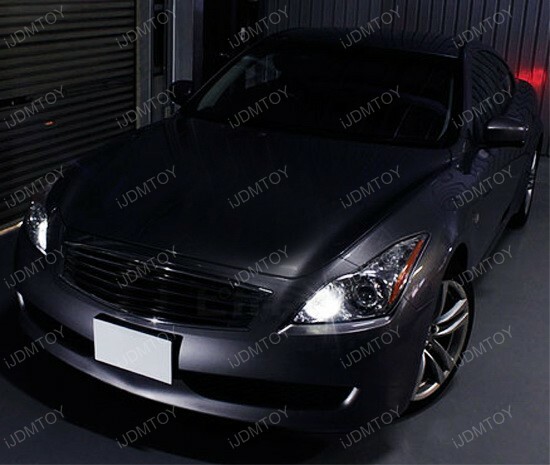 LED replacement bulbs are available that change the color from yellow to a sophisticated 6000K Xenon White that will add to the class of the car. 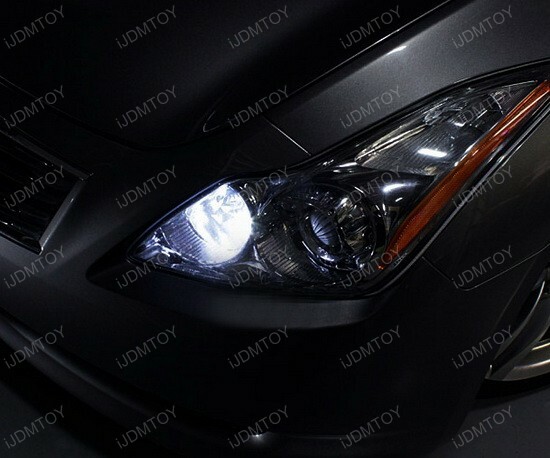 These replacement PW24W BMW LED DRL bulbs are can-bus error free so there will be no error messages that appear on the dashboard indicating the DRLs are out or any flickering issues. The bulb is designed to replace the factory glass portion and the plastic adapter will be re-used. The whole installation is 100% plug and play and requires no modification to the factory components so it is reversible if you ever decide to go back to stock. 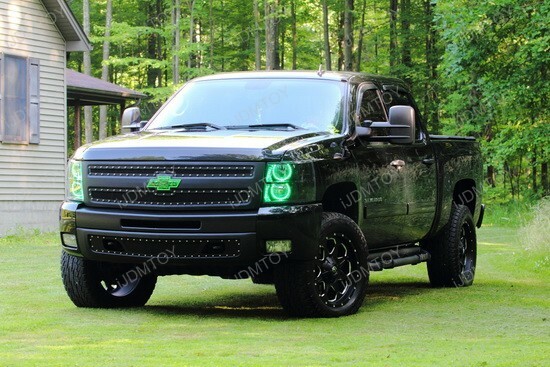 These LED replacement bulbs have 18-SMD 5050 LED diodes per bulb and is available in only 6000K Xenon White to give you that HID-like look which will better match aftermarket 6000K-range lights. Not only do these BMW F30 DRL lights give you a better color, they are also about twice as bright as the factory Philips PW24W incandescent bulbs. 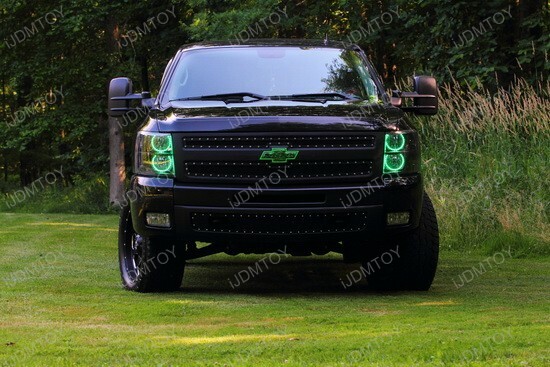 Our 96-SMD RGB LED Angel Eye Rings are meant for a direct on the older 3-Series BMWs like the E36 and E46 chassis models, but as long as there is enough space in the headlight and your customization skills are proficient; you can install it on other vehicles like this Chevrolet Silverado truck. 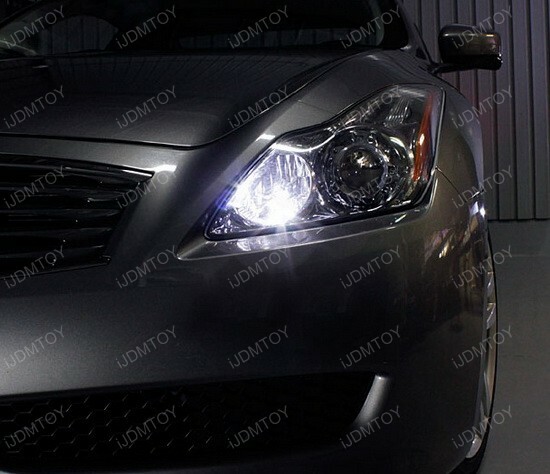 Since these LED rings were meant to be a direct add-on for the BMWs in the compatibility, some slight modifications were most likely made to the headlight to accommodate these so this is recommended for professional installation or highly proficient DIY individuals. 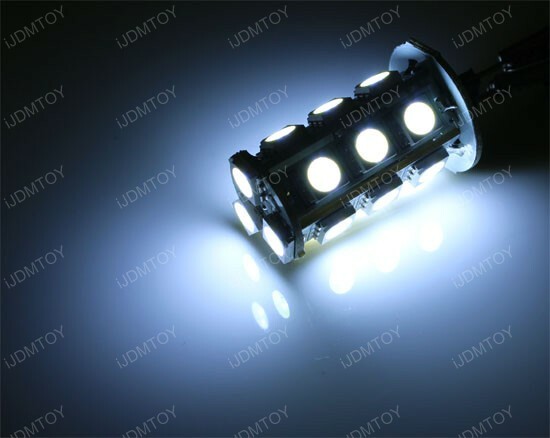 Each ring has a diameter of 5.15” and contains 24-SMD 5050 LED diodes per ring and has seven colors that include red, green, blue, amber, magenta, cyan, and white. The brightness, colors, and flashing patterns are all controlled by an IR (infrared) remote control that has a 60 foot range. 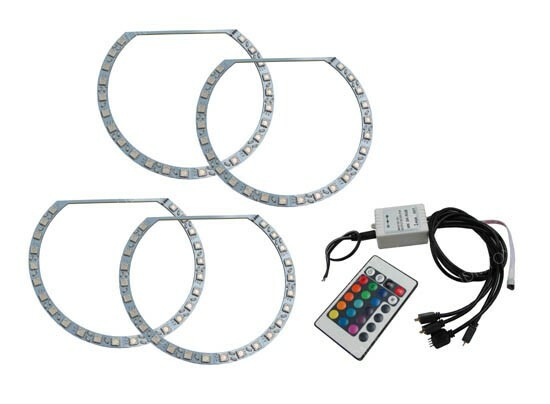 The wiring for these RGB LED angel eyes kit is quite simple, there is only a red and black wire which needs to be connected to the car battery for constant power and all the functions are controlled by the remote. 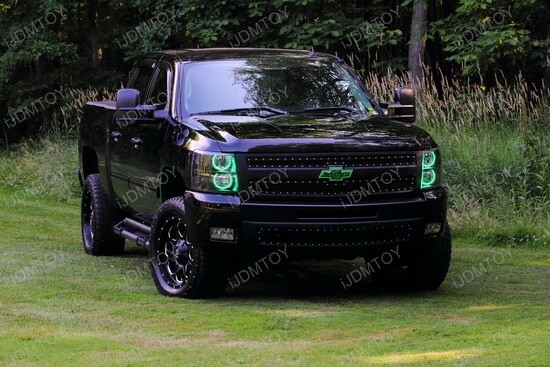 These lights look great on this Silverado so it just goes to show that with the kit in the right hands, it can be retrofitted into so many cars.